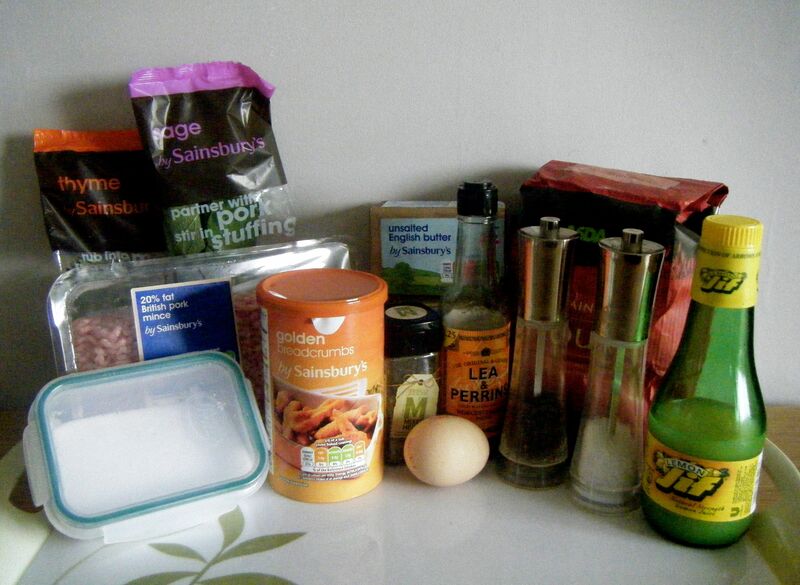 Warning – this recipe was a COMPLETE disaster! It was always going to happen at some point and I think I did well to make it to Challenge No. 34 before ending up with a dish only worthy of the bin. After such a successful week last week, I felt really disappointed that this went quite so wrong. But this blog is about my adventures in the kitchen, both the highs and the lows and so in this post, you can read about the disaster that was meant to be delicious sausage rolls. So with my love of sausage rolls and the success of last week in mind, I got a little brave and searched for a recipe which included homemade pastry. This was quite difficult in itself but eventually I found this one with a homemade puff pastry. 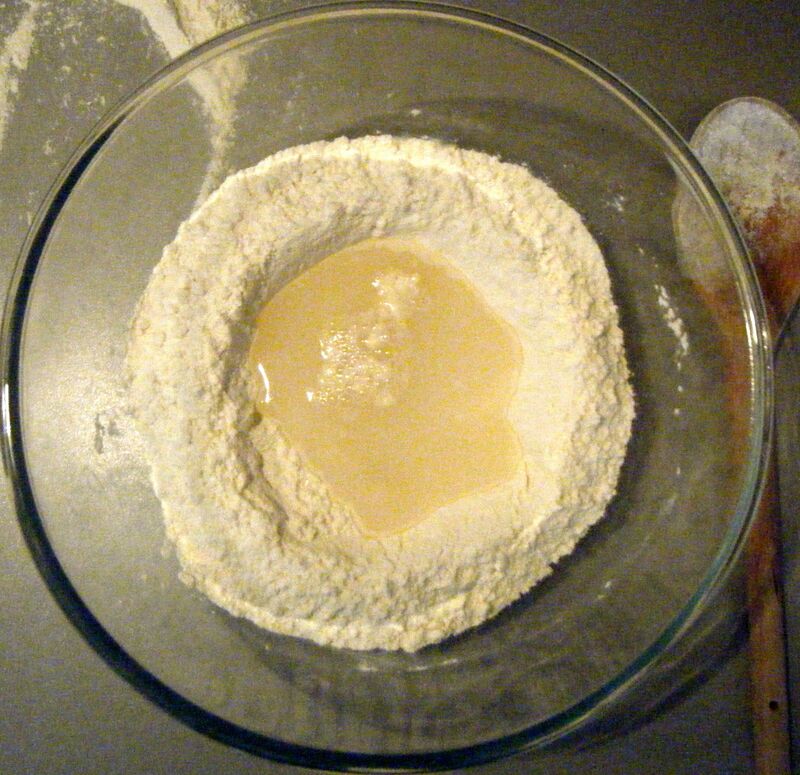 The recipe starts by mixing the flour and salt together and then adding the water and lemon juice. I mixed this all together and then kneaded it into a rough dough to pop in the fridge for a couple of hours. 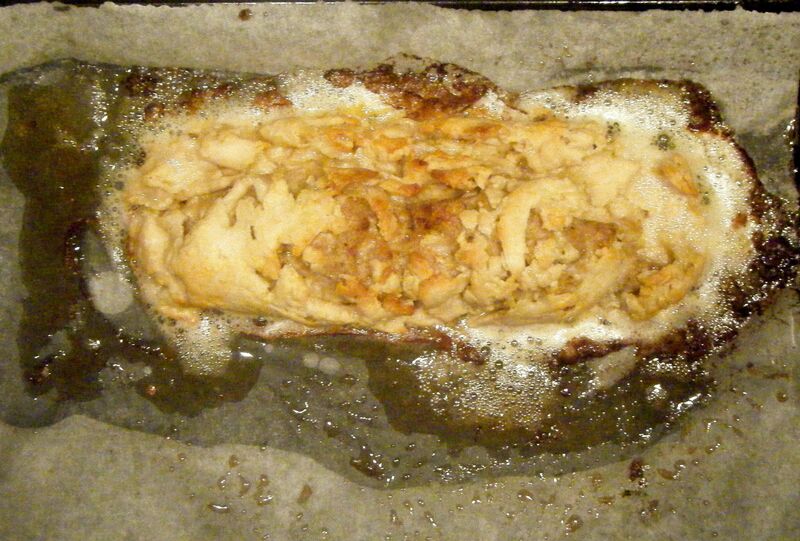 I then tried to roll the dough out to add in the butter. This is where it all went so wrong. 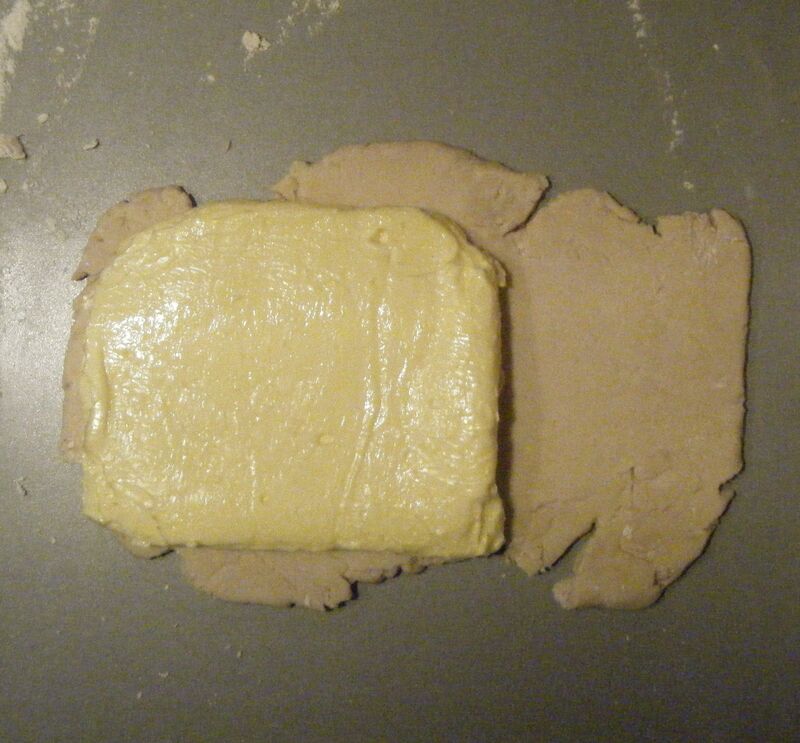 I rolled the dough into a rectangle (or as close as possible!) and put the butter over the top 2 thirds of the dough. I folder the bottom third over the second third and flipped it over again. 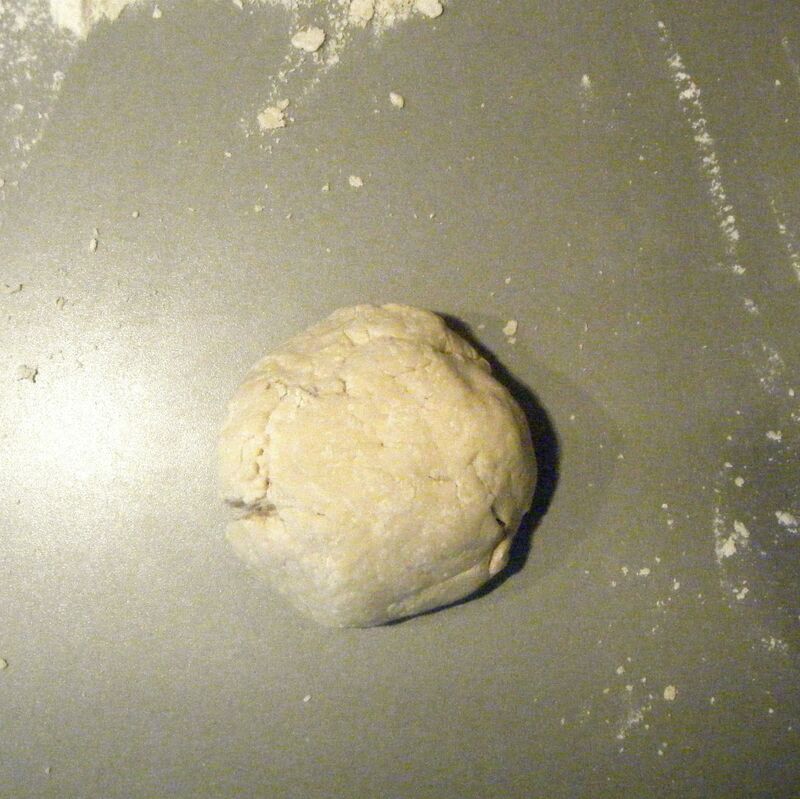 I then tried to roll it out and complete the turns as instructed by the recipe. However, the butter would just not incorporate into the dough and I ended up with a horrible buttery mess. Dave gave me some encouragement and said to just carry on and see what happened. So I did. 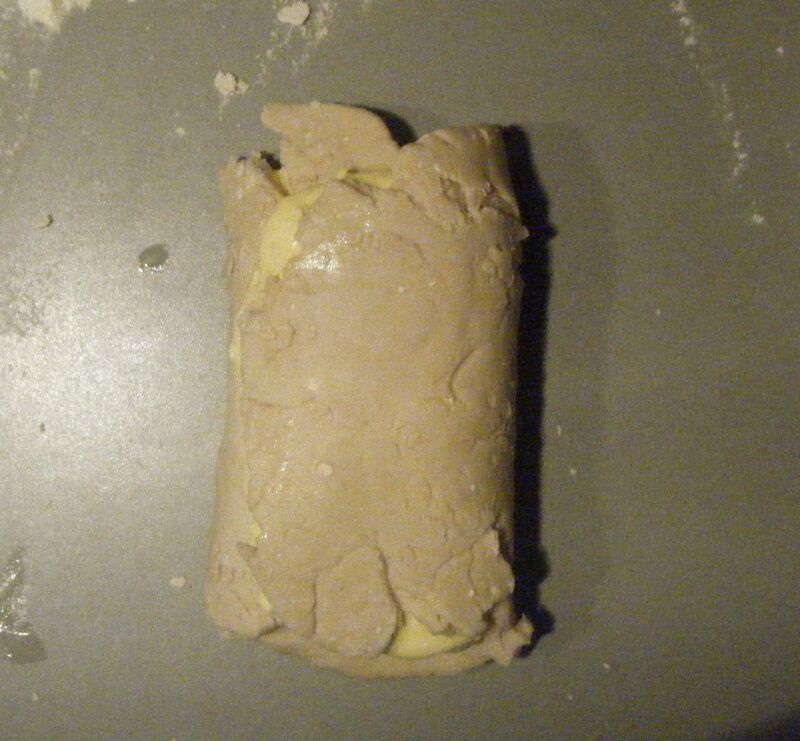 I mixed the filling together and once the pastry had rested, tried to roll it out into a thin rectangle. I put in the sausage meat and folder over the pastry to seal it in. I brushed it with the beaten egg and popped it in the oven for 20 minutes. The result was completely inedible and went into the bin after Dave and I confirmed it tasted as bad as it looked. The pastry was bad, the filling was bad, everything was bad. I have to admit that I think part of the problem was the recipe. I don’t like to say this as perhaps I just did something wrong. But, I found it surprising that the recipe did not involve rubbing some of the butter into the dry ingredients before adding the water/lemon juice. Every other recipe I’ve looked at does this! It seems to be a pretty critical stage for making puff pastry and I think perhaps missing this step caused the problem with my sausage rolls. Anyway, I’m not going to be deterred and I’m going to attempt to make these again in the future, albeit with a different recipe. I’ll be sure to blog about the second (and hopefully more successful) sausage roll challenge. Coming up next week, it’s back to basics as I try to come up with the “Mother of all Milkshakes” for Challenge No. 35. This entry was posted in Challenge 52 and tagged Baking, Challenge52, Disaster, Food by MyGastroAdventure. Bookmark the permalink. It’s refreshing to see a post about a recipe that didn’t turn out as planned – at least you gave it a shot!